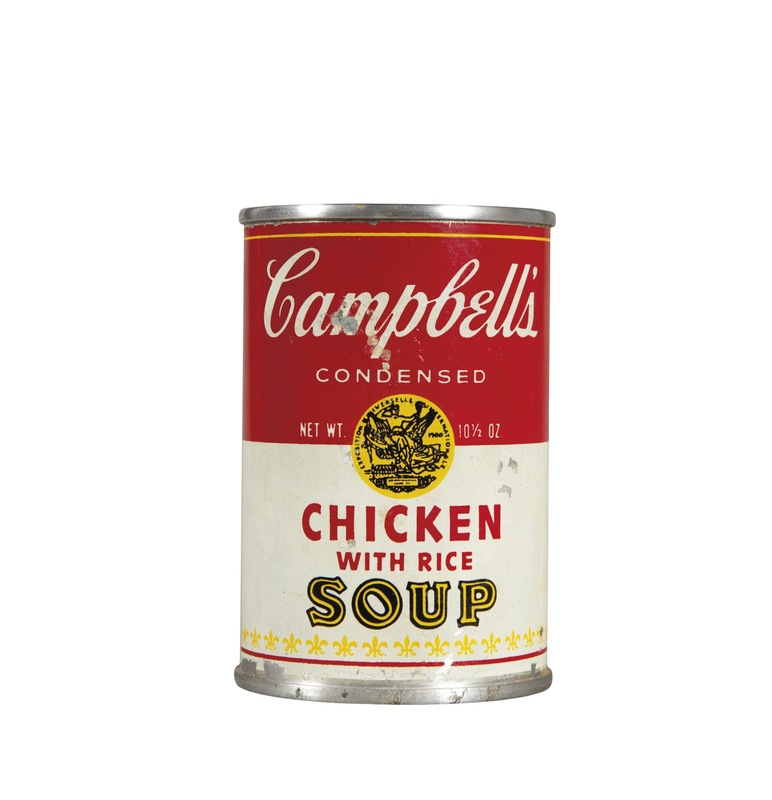 Campbell’s Chicken with Rice Soup ($50,000-70,000) © The Andy Warhol Foundation for the Visual Arts, Inc. (Click to enlarge). Self-Portrait with Fright Wig ($15,000-20,000) © The Andy Warhol Foundation for the Visual Arts, Inc.
Bidding for the first on-line only auction of works by Andy Warhol opens at Christie’s on February 26. For one week only, until Tuesday March 5, collectors around the world can log in and bid online for 125 paintings, drawings, photographs and prints. 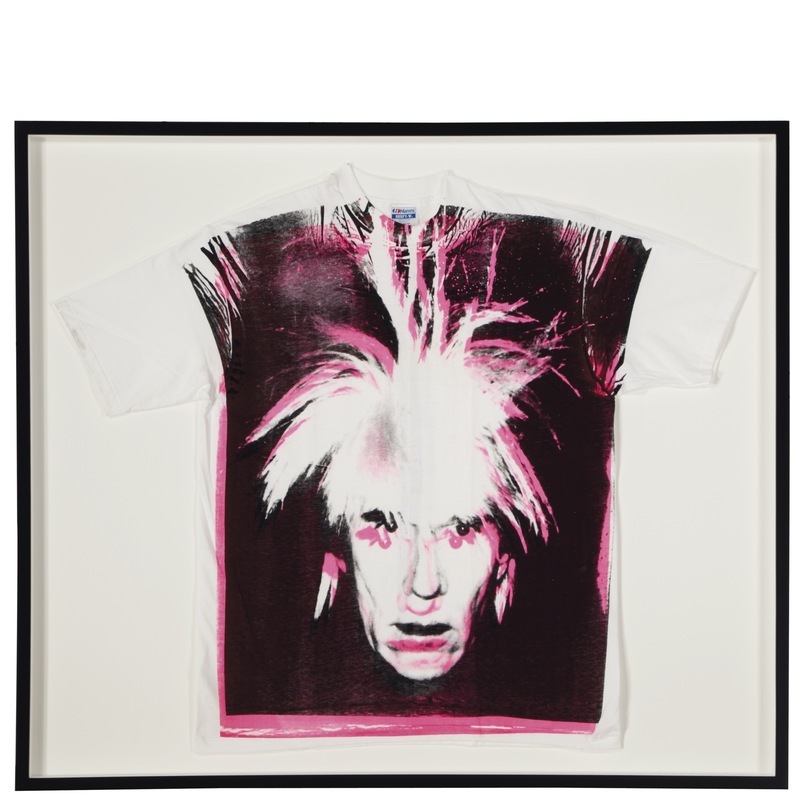 Even though Andy Warhol is a Pop Art superstar this is a sale with something for everyone: estimates range from $600 to $70,000. 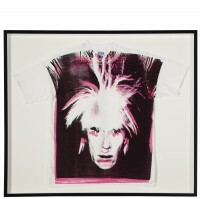 This will offer both seasoned collectors and first time buyers global access to work by Andy Warhol. The timed online format allows clients to browse, bid, receive updates by email or phone, organise shipping and pay from anywhere in the world. Over the course of 2013 Christie’s will launch additional online-only sales of original works from the Warhol Foundation collection. 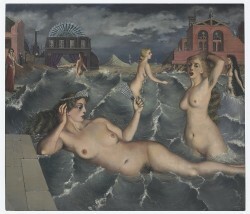 This auction is the first time Christie’s has offered online-only sales of Post War and Contemporary art. 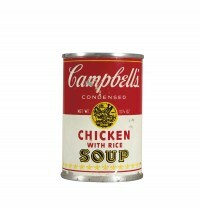 The inaugural Andy Warhol at Christie’s live auctions in New York last November brought in $17 million. Proceeds from these and all subsequent sales benefit Foundation’s grant-making programs which support artists and non-profit arts organisations. 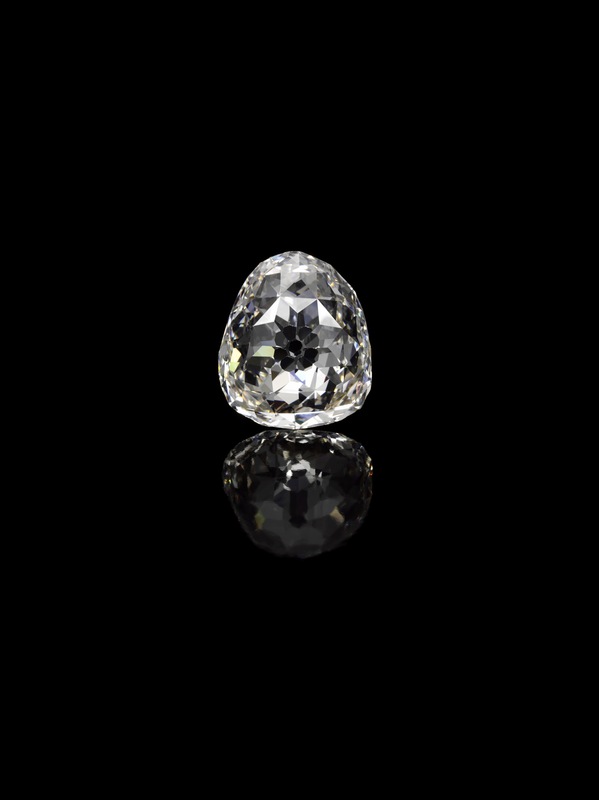 Exceptional diamonds and gemstones, private collections and historical jewels helped Sotheby’s achieve $460.5 million worth of jewellery sales in 2012. This is its highest ever total. There was a new world record in Geneva when a various-owner sale in May brought in $108.4 million. 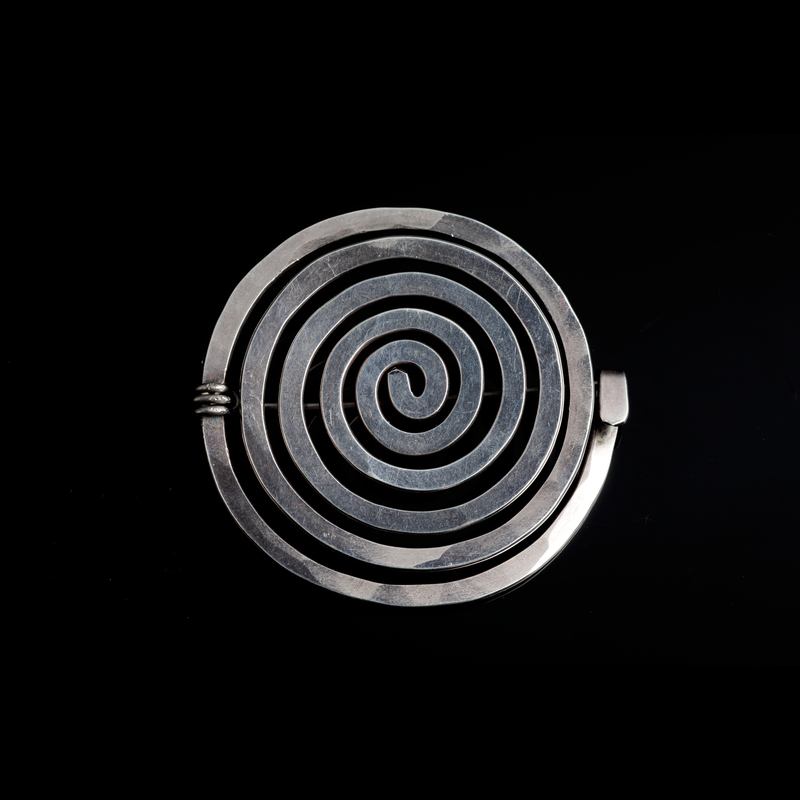 December auctions in New York reached $64.8 million, the company’s highest ever total for a day of jewellery sales. The annual total of $114.5 million in Hong Kong marked the company’s second-biggest year of jewellery and jadeite sales in Asia. 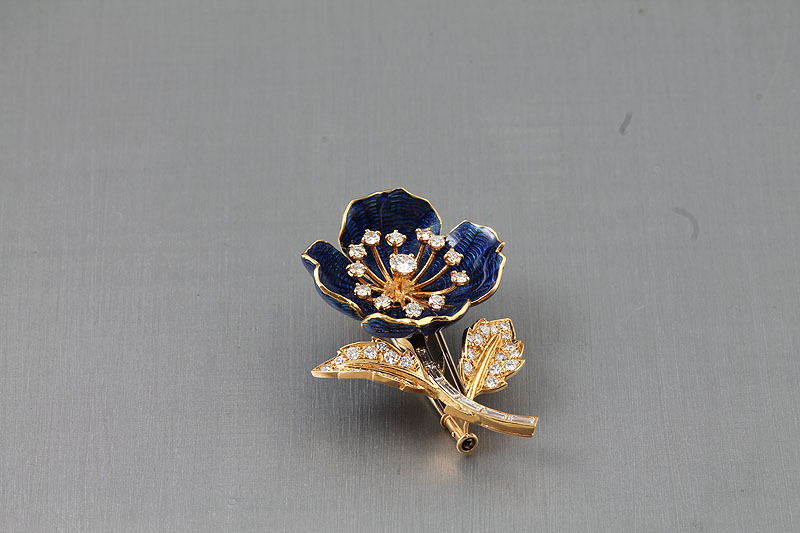 In 2012 Sotheby’s jewellery auctions sold an average of 84% by lot. No less than 72 lots sold for more than $1 million with six above $5 million. 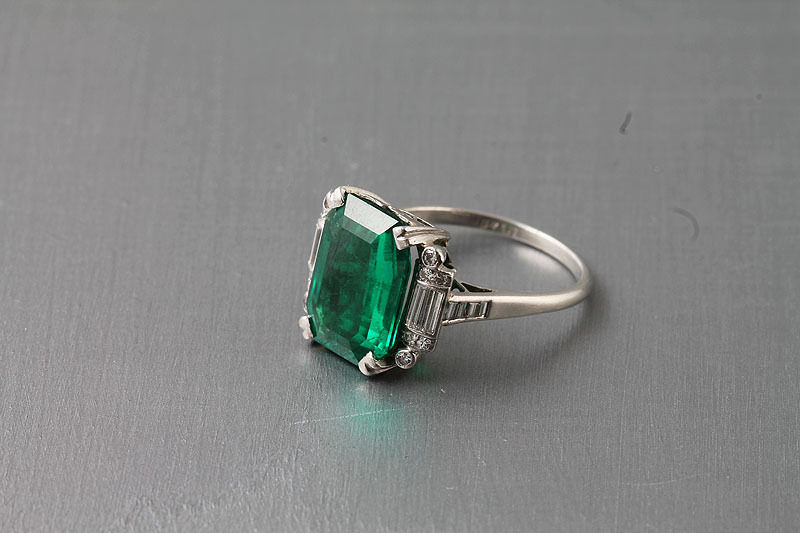 Throughout 2012, prominent private collections fuelled strong sale results, featuring jewels owned by Brooke Astor, Estée Lauder, Evelyn H. Lauder, Mrs. Charles Wrightsman, Suzanne Belperron and Michael Wellby. 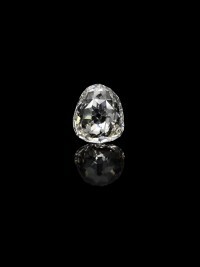 Sotheby’s held two rare ‘white glove’ auctions – 100% sold by lot – in 2012: Jewels from the Personal Collection of Suzanne Belperron in Geneva in May, and The Jewellery Collection of the Late Michael Wellby in London in December. 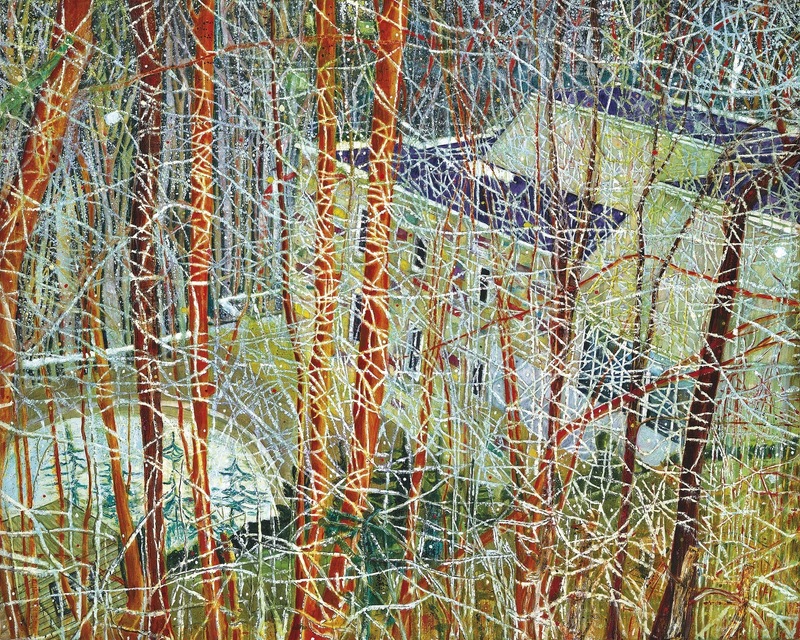 PETER DOIG (B. 1959) The Architect’s Home in the Ravine (£4-6 million) courtesy Christie’s Images Ltd., 2013. (Click to enlarge). UPDATE: IT MADE £7,657,250, A NEW WORLD RECORD PRICE FOR THE ARTIST. 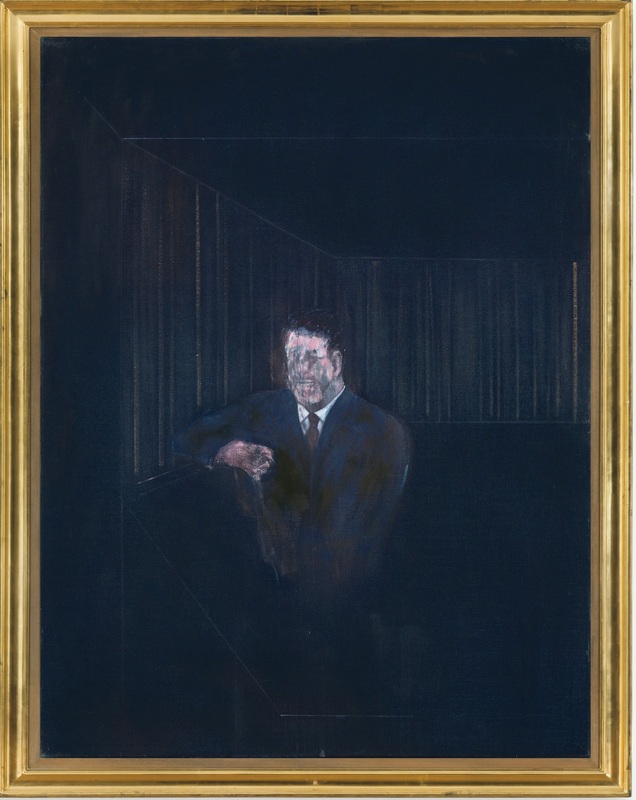 Francis Bacon’s Man in Blue VI of 1954 is among the highlights at Christie’s Post War and Contemporary auctions in London on February 13 and 14. 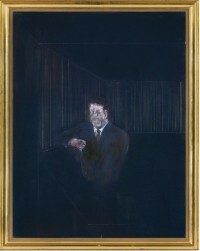 Dating from 1954 – the year Bacon represented Britain at the 27th Venice Biennale – Man in Blue VI is the penultimate work in a suite of Man in Blue paintings. 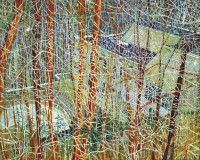 It is estimated at £4-6 million. Three are in museum collections: Man in Blue I, Museum Boijmans Van Beuningen, Rotterdam; Man in Blue IV, Museum Moderner Kunst Stiftung Ludwig, Vienna and Man in Blue V, Kunstsammlung Nordrhein Westfalen, Dusseldorf. architect Eberhard Zeidler’s modernist home at Rosedale in Toronto. Away from the Flock (Divided), a single sheep suspended in two minimalist tanks, was created by Damien Hirst in 1995, the same year he was awarded the Turner Prize. The auctions will feature a selection of European art from the 1950’s and includes significant works by Lucio Fontana, Yves Klein, Gerhard Richter. (See post on antiquesandartireland.com for January 7, 2013). An original photograph c1900 shows the bookcase on the left. (Click on image to enlarge). The bookcase as it is now. (Click on image to enlarge). 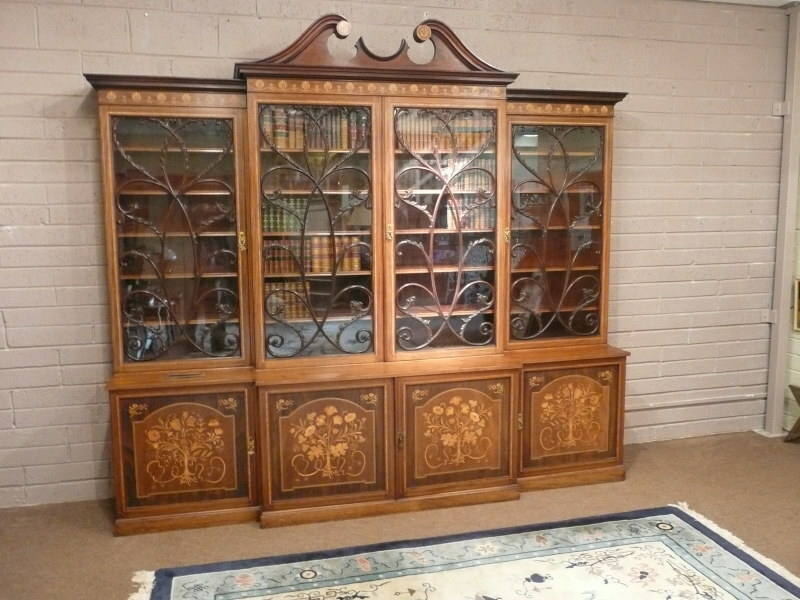 THE antique bookcase salvaged from the White Star liner which foundered at the entrance to Cork Harbour in 1928 sold for a hammer price of 22,000 at Lynes and Lynes sale in Cork on January 26. It had been estimated at 10,000-15,000. 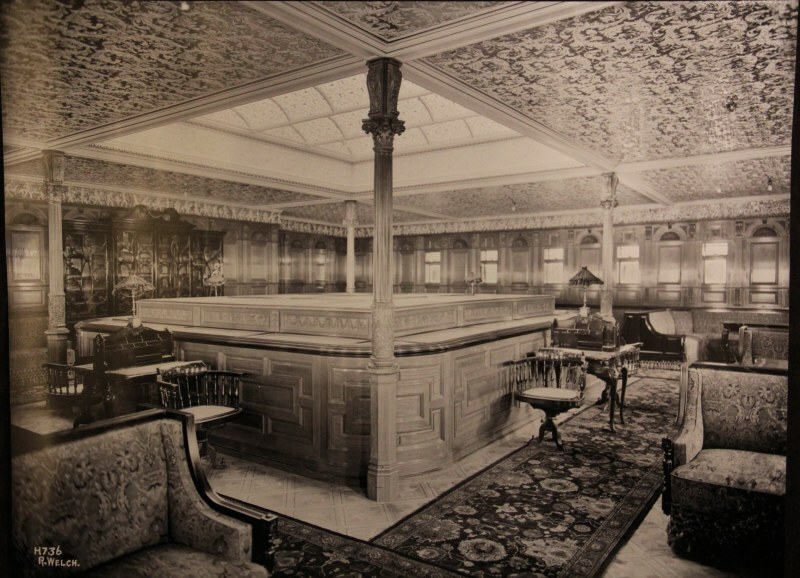 The breakfront bookcase from the S.S, Celtic was bought on the telephone by a private collector in Northern Ireland, where the bookcase was made at Harland and Wolff around 1901. 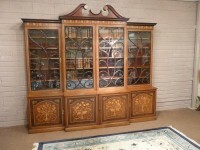 The four door mahogany and satinwood bookcase with decorative glazing and marquetry inlay was from the First Class Library. There were four bidders, two in the room and two on the telephone, in pursuit of it. (See post on antiquesandartireland.com for January 13, 2013). 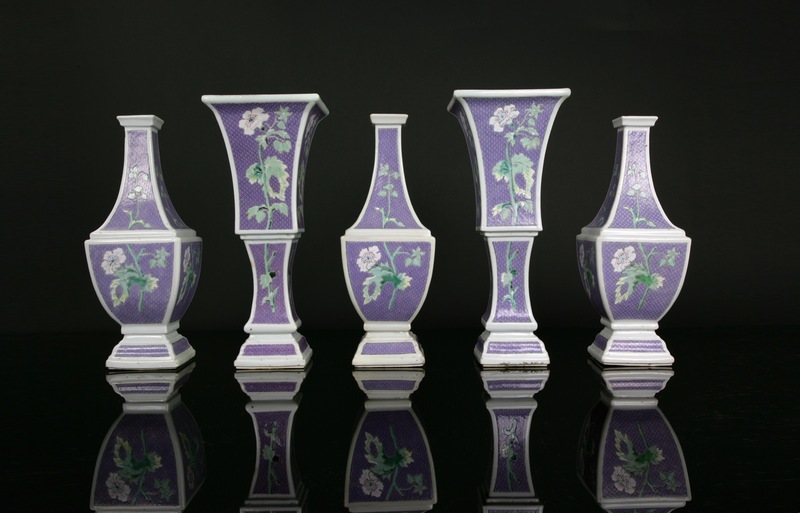 From Scandanavian ceramics and Suffragette Brooches to cutlery designed by Salvador Dali the Winter Antiques Show now underway at the Park Avenue Armory at 67th St. in Manhattan offers a vast array of antiques and collectibles. The images here and on the post on antiquesandartireland.com on January 3, 2013, give some idea of the range. There are 73 exhibitors this year. 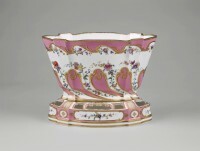 A loan exhibition is entitled “Newport: The Glamour of Ornament,” with objects from eight Newport homes installed in a pavilion modelled on the Vanderbilt residents The Breakers. The show continues until February 3. (You can click on any image to enlarge it). 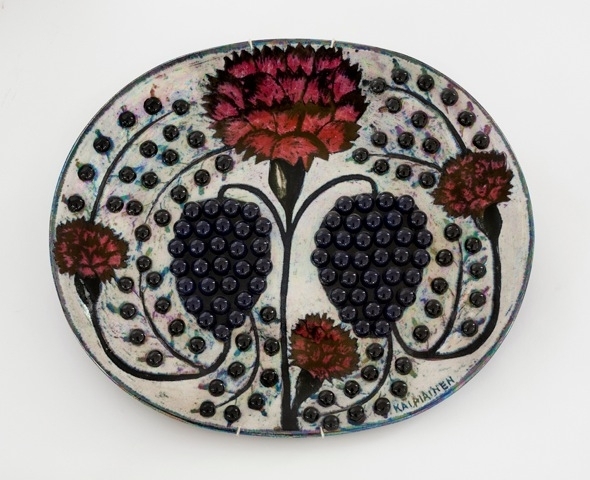 Ceramic by Birger Kaipiainen, one of Finland’s best-known ceramic designers.at Hostler Burrows. 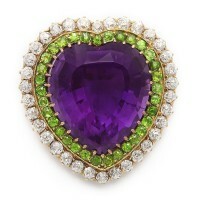 A La Vieille Russie, Inc. Suffragette Multi-Gem Brooch or Pendant. English, c. 1900. 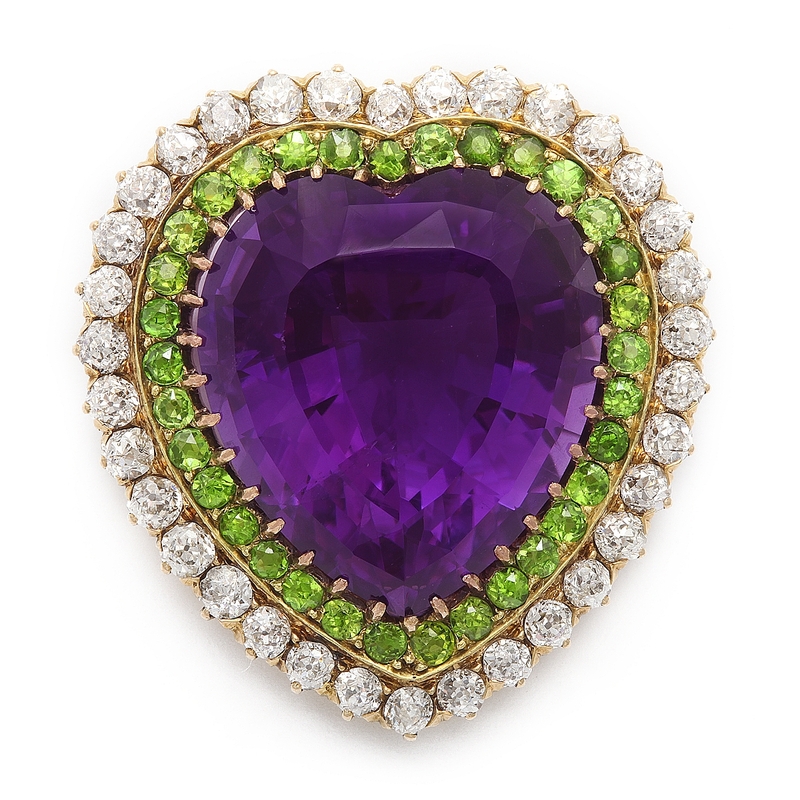 Amethyst, diamond, and demantoid garnet heart-shaped brooch, which can also be worn as a pendant. 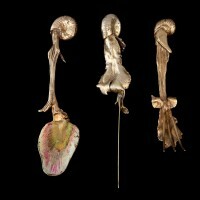 Mounted in gold. Salvador Dali, silver-gilt and enamel set of cutlery. 1962 at Didier Ltd.
Michele Beiny, Inc. A soft-paste Sèvres Porcelain vase for bulbs c1757-8 the lower section with the painter’s mark attributed Mathieu Fouré (active 1754-62) at Michele Beiny, Inc.
Alexander Calder, 1960’s sterling silver spiral brooch at Didier Ltd. 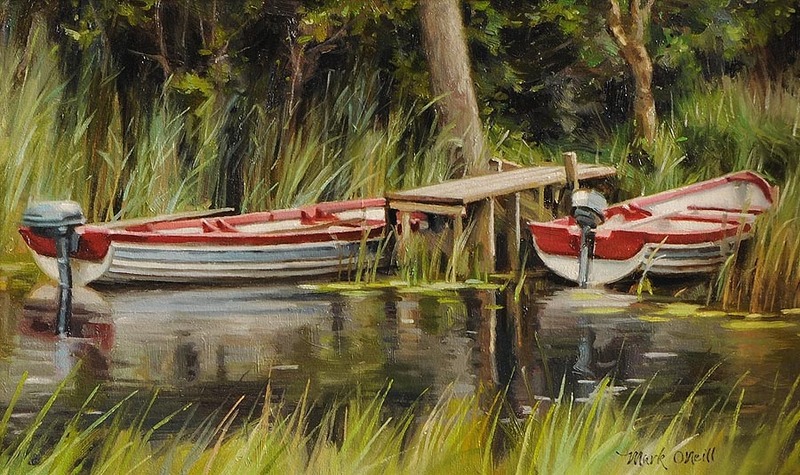 THE first on-line art auction of 2013 by Morgan O’Driscoll is nearing a close. It continues until 7 p.m. on January 28. The sale is on view in Skibbereen in west Cork. The catalogue, with current bidding, is on-line. Here are some of the highlights. You can click on any image to enlarge it. 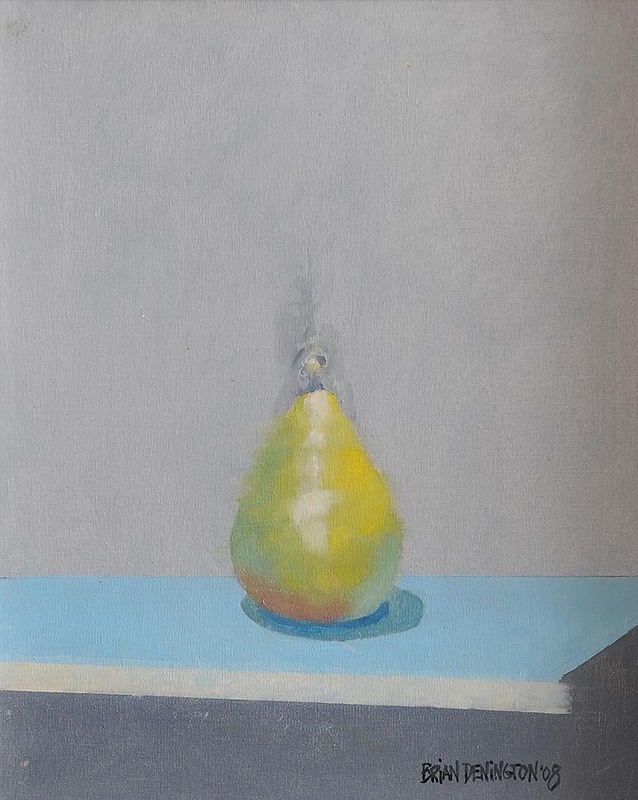 Brian Denington (b.1944) Still Life of Pear (600-800). John Kingerlee (b.1936) Kilcatherine 2005 91,200-1,800). 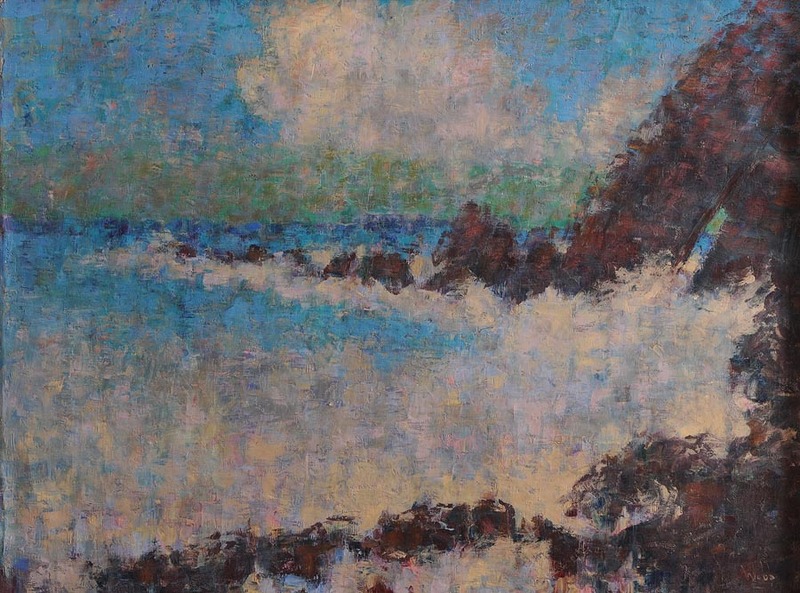 Kenneth Webb RWA FRSA RUA (b.1927) West of Ireland Seascape (3,000-4,000). 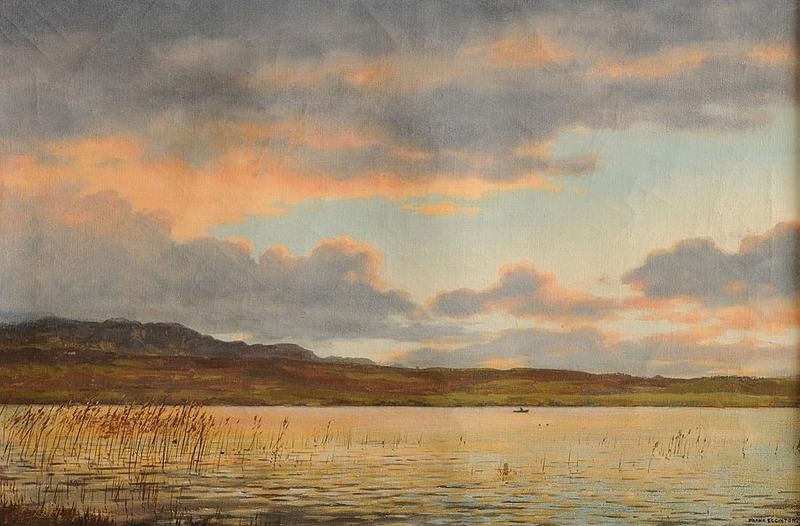 Frank Egginton RCA (1908-1990) New Lake at Sunset, Donegal (1,500-2,000). Mark O’Neill (b.1963) Kylemore Green (2,000-3,000). Matt Grogan (20th/21st Century) Cafe in Venice (500-700). The Sacrifice of Polyxena created in 1647 by Charles Le Brun (1619-1690). (Click on image to enlarge). UPDATE: IT MADE 1.44 MILLION ERO. A rediscovered painting by Charles Le Brun (1619-1690) to be offered at Christie’s sale of Old Masters and 19th Century Paintings in Paris next April 15 was hiding in plain sight at the Ritz. Louis XIV declared Le Brun to the greatest French artist of all time. 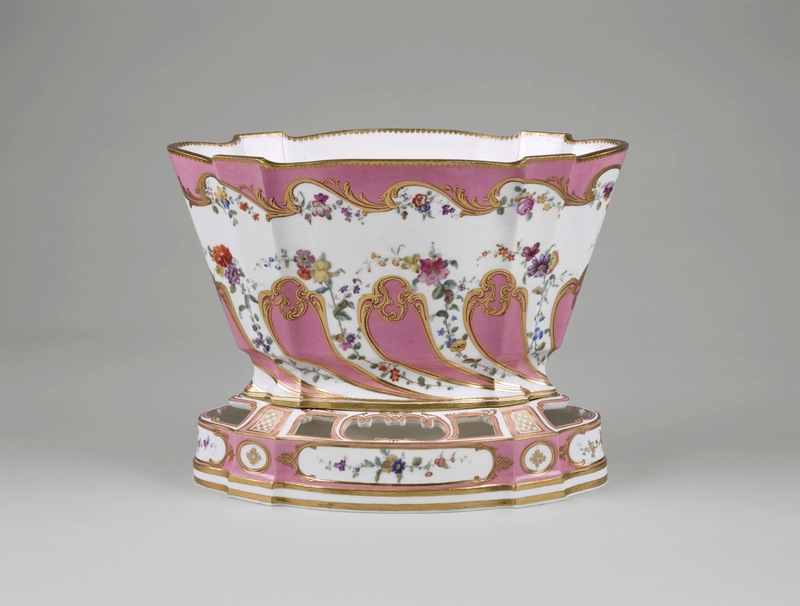 His most important works are at Versaille and he was the originator of the Louis XIV Style. 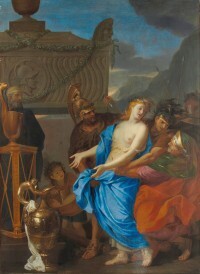 Painted in 1647 The Sacrifice of Polyxena – estimated at 300,000-500,000 euro – was recently recognised by the Ritz’s art adviser Joseph Friedman and fellow consultant Wanda Tymowska. It was in the Coco Chanel Suite. Archives have not revealed how the painting came to the hotel but it is possible that it was already in the 1705 townhouse when it was acquired by César Ritz in 1898. The Le Brun attribution has been unanimously supported by leading French museums. Painted when he had newly returned to Paris from Rome the work displays the profound impact of the art of Nicolas Poussin (1594-1665) on Le Brun’s style. It shows the artist’s fidelity in reproducing the antiquities of Imperial Rome, evident in the details of the bronze vase, tripod and marble sarcophagus that ornament the scene, and the incense casket, taken from a drawing made by Le Brun in Rome after an Antique prototype. 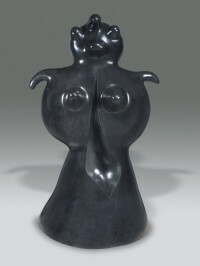 It will be on view at the Rockefeller Centre in New York from January 26-29. 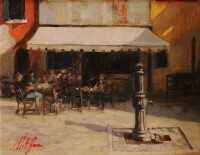 UPDATE: It was sold to the Metropolitan Museum in New York for 1.44 million euro. 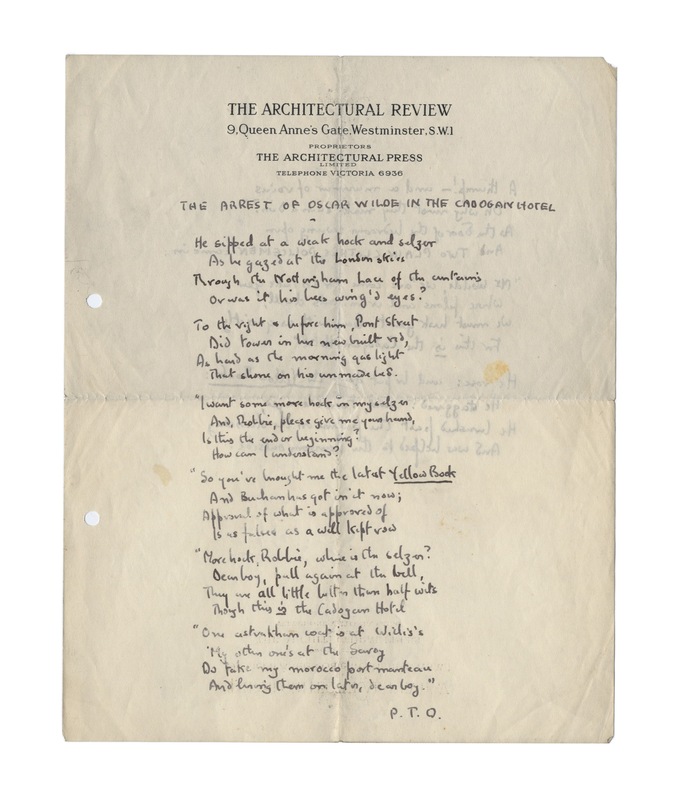 Sir John Betjeman’s handwritten draft of one of his best known poems, ‘The Arrest of Oscar Wilde at the Cadogan Hotel’ will be sold by Bonhams in London on April 10. 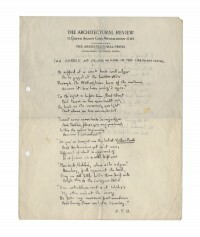 The only manuscript of the poem ever to at auction is estimated at £5,000-6,000. It will be offered in Part I of the collection of poet and scholar Roy Davids. 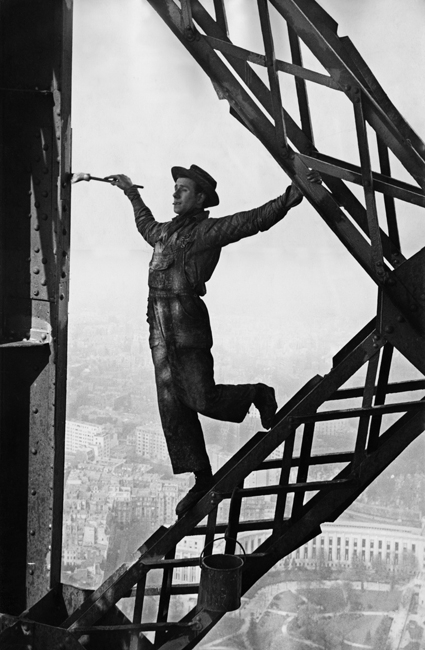 ANTIQUE AND VINTAGE JEWELLERY AT O’REILLY’S OF FRANCIS ST.
Posted in AUCTIONS, COLLECTIBLES, Miscellaneous | Comments Off on ANTIQUE AND VINTAGE JEWELLERY AT O’REILLY’S OF FRANCIS ST.
Joan Miró’s rare work L’Echelle de l’évasion – “The Ladder of Escape? – leads Christie’s landmark Art of the Surreal sale in London on February 6. 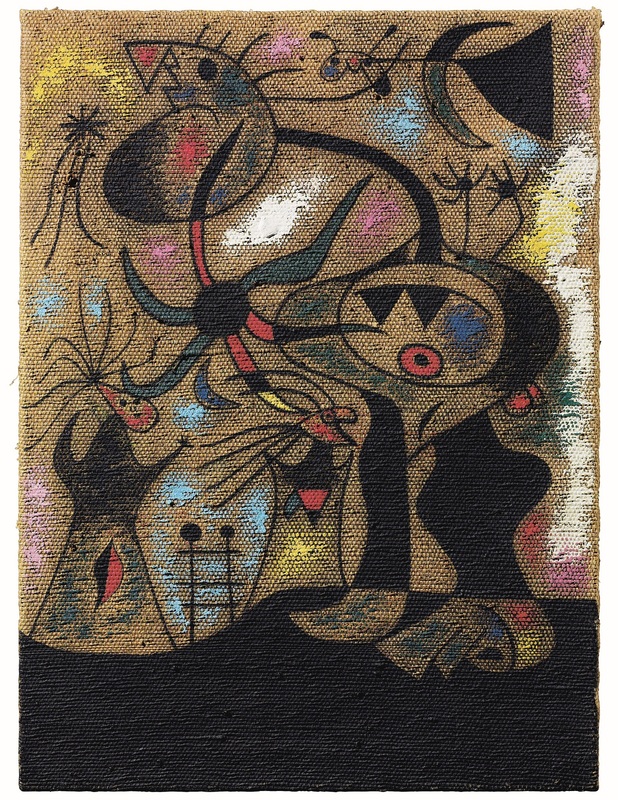 Joan Miró’s rare work L’Echelle de l’évasion – “The Ladder of Escape” – leads Christie’s landmark Art of the Surreal sale in London on February 6. Painted in December 1939 whilst living in Normandy during the months of the so-called “phoney war” when France awaited a German invasion L’Echelle de l’évasion is the culmination of a series of new works marking Miró’s flight from the grim realities of Europe at that time. The “Ladder of Escape” was an important motif for Miró from the early 1920’s. It served as a potent metaphor for the artist’s escape from reality into the world of his art. L’Echelle de l’évasion is one of two works of this title. Making its first appearance on the market in almost 60 years it is estimated at £5-8 million. 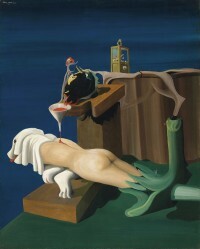 The other, a gouache from January 1940, is at MoMA in New York. 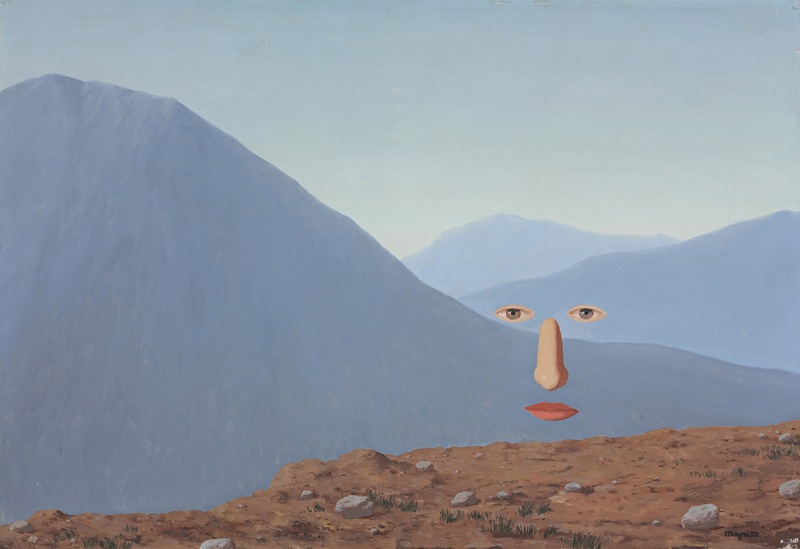 Christie’s pre-sale estimates for Impressionist, Modern & Surrealist works offered in the February auctions range from a low of £115,216,300 to a high of £171,250,000. 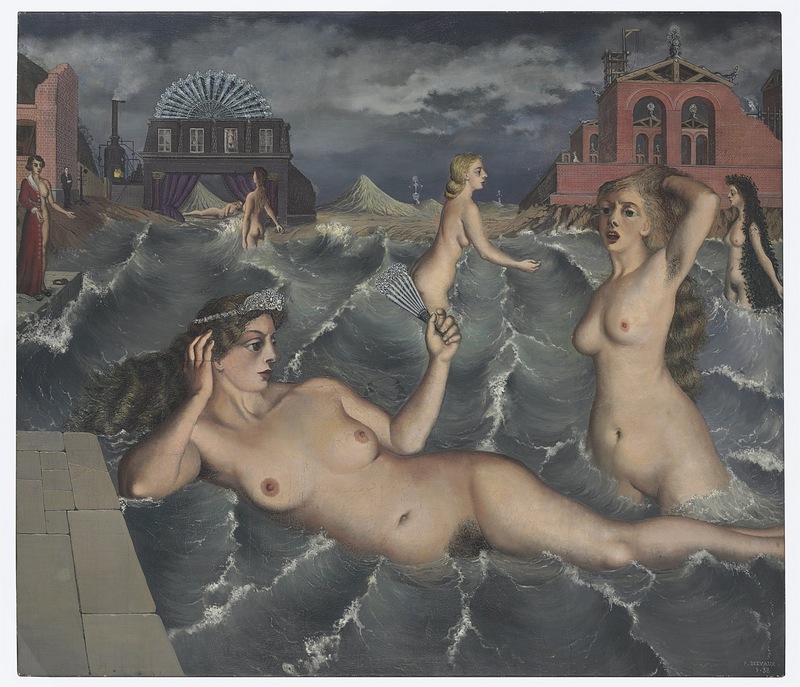 Paul Delvaux (1897-1994) Les nymphes des eaux (£3-5 million) courtesy Christie’s Images Ltd., 2013.